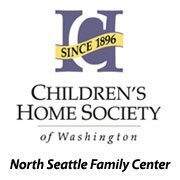 The Lake City Holiday Project (LCHP) is a parternship between human service Providers, donors and the NE Seattle Community. Our purpose is to provide gifts to low-income children during the winter holidays. Fulfill holiday wishes for 650 kids every year! The Lake City Holiday Project (LCHP) is a partnership between human service providers, donors and the community. The purpose of the project is to provide gifts to low-income children at holiday time. The project was started 21 years ago by Yolanda Martinez who was the Coordinator of the Lake City Little City Hall. Over the years the project has grown to serve over 600 children.The project is coordinated by Meadowbrook Community Care, a non-profit corporation located at Maple Leaf Lutheran Church. Read the latest news on our holiday blog! Human Service Providers identify and enroll families in the program. First names of children and their “wish lists” are given to donors who purchase gifts or donate cash. Gifts are collected, organized, and families come to pick them up from a central location — often the Lake City Community Center. Extra gifts are given to local shelters and nonprofits to share with the children they support. Families, neighbors and workmates; would you like an easy way to come together and have an impact this holiday season for families with children in need? Organize a group donation by your office, faith-based organization, or social group. To get started, we will send you a document with the gift requests per child with their wishlist and shopping guidelines. A master copy with all children listed, also accompanies the requested group packet. To learn more, please fill out the Contact Us form. Would you like to offer a positive holiday experience at your business? Connect your customers to organizations who support children in need during this giving season. Displaying a giving tree or banner with holiday gift tags makes a difference for your community.To learn more, please fill out the Contact Us form. If you would like to be part of this project, you can also help by in the following ways. Contact us to learn more! Cross-referenced with organizations such as: DSHS, North Helpline, Elks, Rotary and Lions Clubs, etc. Supported by local business, individuals and local civic organizations. Gave food as well as toys provided by Toys 4 Tots. Overseen by Colleen Maxwell at Lake City Little City Hall and Meadowbrook Community Center. Colleen shepherded Maple Leaf Lutheran Church in the project in 2002. MLLC took over the project in 2003 after Children’s Home Society lost project funding. We’ve helped over 9,000 children since the project launched. We continue to see a great need in the community for this valuable service, especially now in our struggling economy. Donor and volunteer corps continue to play a vital role in it’s success. We have had as many as 80 volunteers. Support continues to come from businesses and private donors, as well as local churches. Lake City Holiday Project is now in it’s 24rd year. Volunteers assist in bagging up the gifts for each family, getting the gifts ready for distribution, and contacting families to arrange gift pick-up. Over 80 volunteers support the project. U-District – 1200 NE 45th St.
Lake City Auto Works – 2825 NE 120th St.